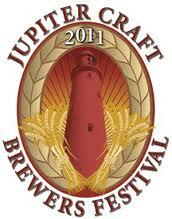 Join us Saturday, January 29, 2011, from 1-5:30 pm at Roger Dean Stadium located in beautiful Jupiter, FL. There’s no better way to experience the ever-growing world of craft brewing. Guests will sample and savor brews from some of South Florida’s as well as the nation’s finest breweries. With paid admission and proper identification (stating you are 21 years of age or older) guests will enjoy unlimited samples of the brews. All this while listening to some of the best local entertainment around! In the past 4 years the festival has come a long way. Thank you all for your support and great energy throughout. This year’s festivities have been taken to a new level. Not only are we raising the bar with variety of beers but we are also expanding the festival grounds (by 4000 sq ft.!). As we are closing the street, we are debuting yet another event at the amphitheater – Craftoberfest, where craft beer meets Octoberfest! Click here for more. Tickets will be limited to 1600 online and 1600 at the door and only ticketed patrons will be permitted to enter. Tickets will be $26.50 + service fees online and $30 at the door (cash only). They will sell out so arrive early! All patrons must be present to purchase tickets and must be over 21 to enter – no exceptions. Be sure to bring your ID’s because everyone will be checked! Initial scanning will begin shortly before gates open and along with extra scanners lines will be expedited. Only paid patrons will be allowed to enter the Festival.